I had Hayes Stroker brakes fitted to my Marin Eldridge Grade and I found the design to give a more positive hand-hold than the Elixirs that are fitted to the Giant Anthem. Certainly the ergonomics of the Hayes levers was superior to the Avids. As you’d probably expect from a ‘carbon’ version, the build quality was excellent and the lever (and the way it moved) was stiff and felt robust. 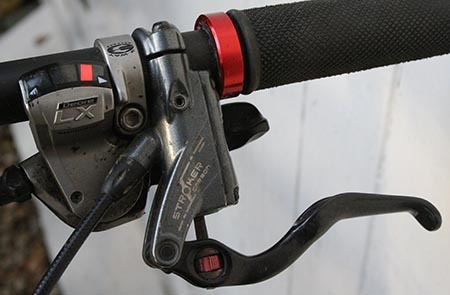 The Hayes brakes proved to be very reliable and very easy to adjust – and provided good progressive bite when out on the trail.